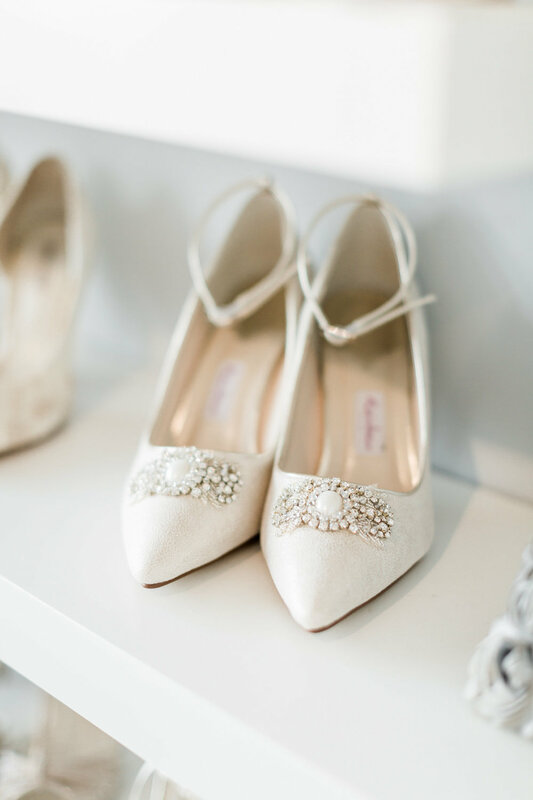 Once you have your dream dress, you can either pop in to browse our beautiful collection of all things accessory or even book a bespoke accessory appointment with one of or bridal stylists (with fizz and yummy treats too). 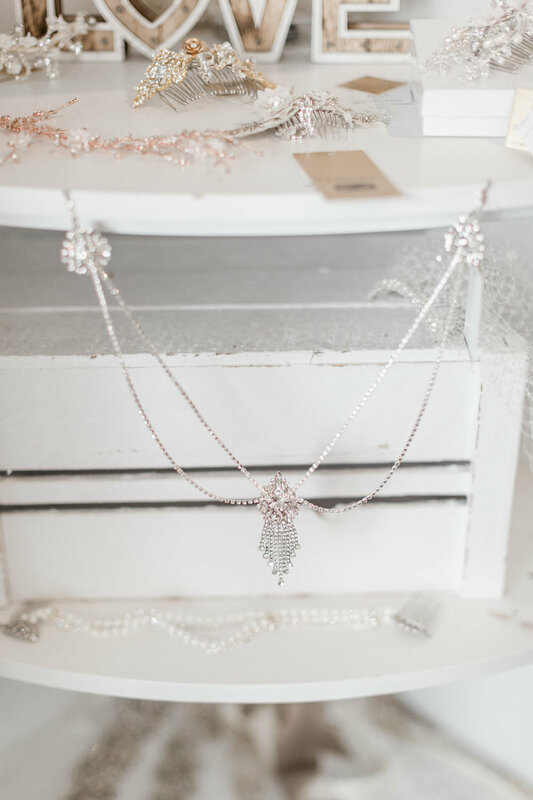 Whether it's adding a bit of sparkle, personalising with a belt, beading, selecting those special pieces of jewellery, or finding those all-important shoes; you'll find everything you're looking for at The White Boutique. We are very lucky to be an elite stockist of Richard Designs, hosting the largest range of their accessories in Warwickshire. From beaded lace edge veils, to delicate hair vines, we have a beautiful array or accessories to complete your perfect gown. We currently offer a dressing service within a 20 mile radius of the boutique. To ensure the morning is as relaxing as possible we would be delighted to come and dress you on your special day. This really does have to be one of our most favourite things to do!!! Prices vary depending on location and dates so please call or pop into discuss. After the wedding, we offer a specialist cleaning service to restore your dress back to its sparkly self. We always say the sign of a good wedding is how dirty the train is after lots of dancing! We also offer a beautiful boxing service too with our lace lined, patterned boxes, you can select the perfect print to match your wedding day colours and treasure it for years to come. After the wedding just pop back in with your dress (AND PHOTOS PLEASE!! !- FAVE BIT!) tell us all about your special day and we can get your dress on its way to being cleaned and sparkly again.